There is a new search feature (maybe it's just new to me) on FGG that I tried that lets you narrow down by bike manufacturer. For example, I put in mountain and got three examples of Rocky Mountains, one of which was an actual fixed gear mountain bike: 127 Asoka Mendis' Rocky Mountain; Deep in the FGG archives. Using the search feature looking for Konas I found this one that I might have missed on my original search through the FGG: 4,512 Brent Wegscheid's Kona; What's interesting about this one is that it's a 26er frame with a 700c wheelset. Nothing new there, did that with my Fixation in my attempt to make it into a commuter. 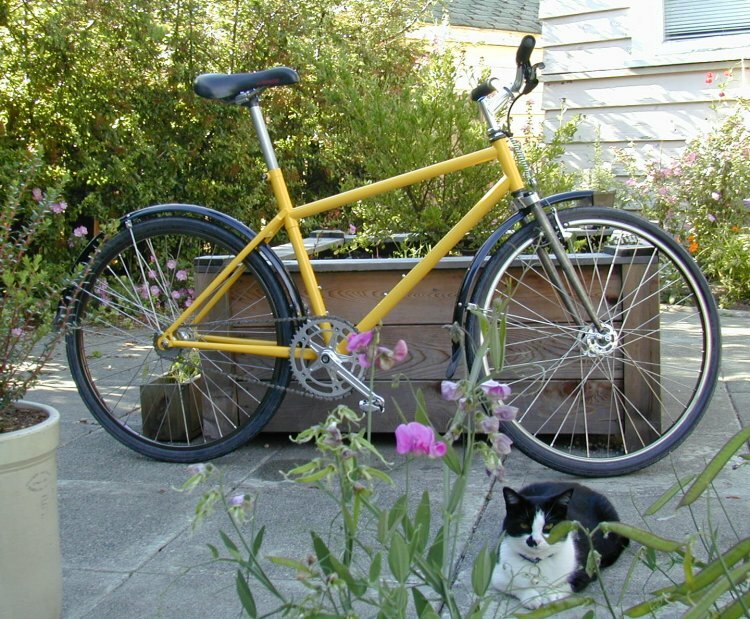 The other search feature is even better, look at this vintage Bontrager Fixie. Nice! Funny thing though, you do get a lot of false positives from people who talk about mountain biking, still it's nice to look at bikes. You might recall an earlier Friday Fix post where I was talking about conversions and I showed you another 69er, well here is the latest build from Tom. 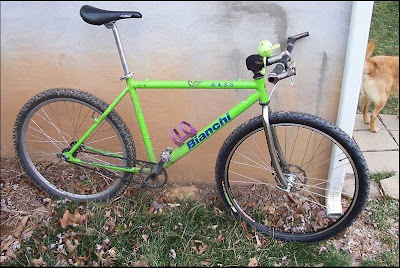 Well, here is yet another 69er and it's a Steel Bianchi! I would gladly replace my Fixation in a heartbeat if I could find any of the "SS" models for the right price and size. Of course, I would say that about the Kona Unit and the Evil Sovereign or DOC. Still, nothing beats the feel of real steel!